By the time Isaiah Moses bought The Oaks, the soil was depleted. In any case, the property was too small to justify the expense of building dikes and trunks to facilitate tidal irrigation, a prerequisite for profitable cultivation of rice. Moses used the land for security on several occasions, notably during the Panic of 1837 when he borrowed money from Beth Elohim’s charity fund, Karen Kayemet. 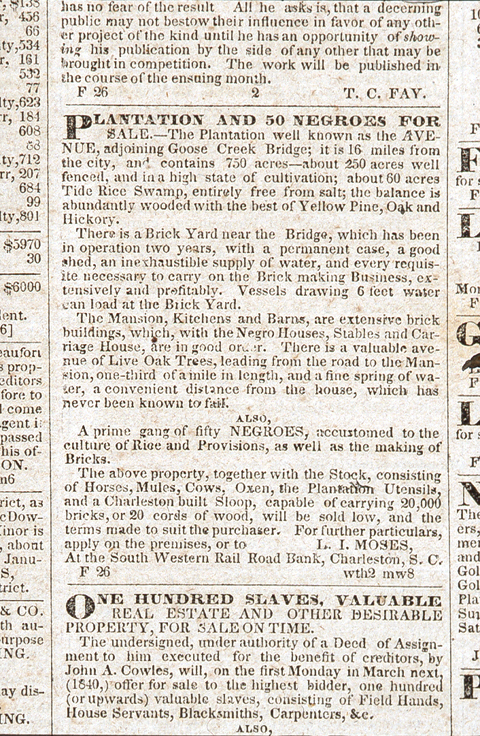 In 1840 the plantation house burned, and the next year Moses sold the property to C. P. Shier for $3,750—some $2,000 less than he had paid. 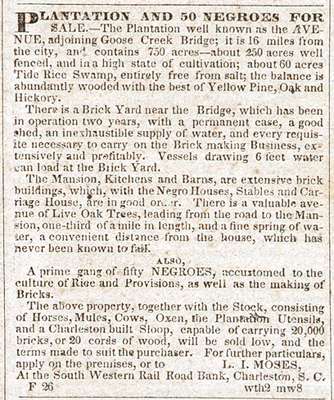 Very possibly some of the enslaved workers were sold off as well.